Hello everyone. Carla Doria kindly asked me to hop over to her blog and let you know a little about myself and my writing. 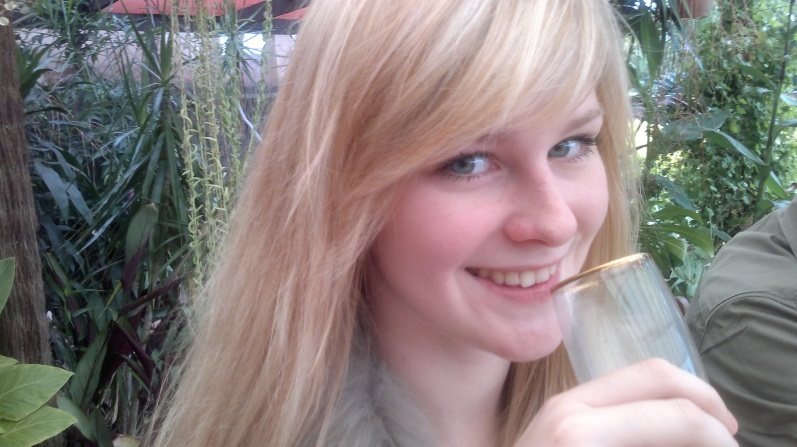 So, to start off, my name is Scarlett Van Dijk and I am a young Australian writer who writes mostly novels but also dabbles in short stories and poetry. I like to dance, train in martial arts, read, go to the movies, and play some multiplayer online games occasionally. 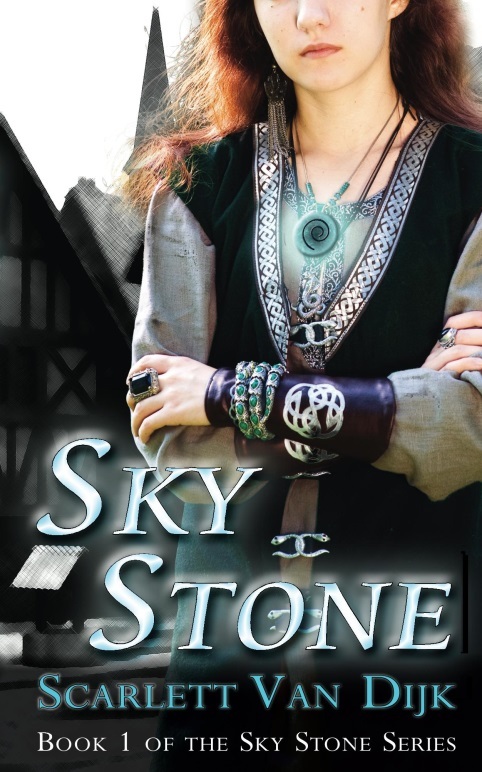 My novel genre is Young Adult (YA) Fantasy with my first novel, ‘Sky Stone’, published and on sale at Amazon. I am currently working on the sequel to ‘Sky Stone’, which will be called ‘Guardian Core’. I started writing novels at the age of fourteen, beginning the journey that would become ‘Sky Stone’ at the age of fifteen. Writing, especially during these early years, gave me a release. Every teen knows the hardships of dealing with school politics and writing allowed me to escape to live in my own world. One force to lead to me taking up writing was music. As I listened to certain songs, a story would form in my head like a movie. Over time this story grew until I couldn’t bear to lose it. It became Sky Stone. Even now, I find that music is a huge inspiration to my stories. What Advice Would You Give to First Time Writers? My advice to first time writers is to remember why you started writing in the beginning. Writing should not merely by about being published and making money from your writing. You began writing because you loved to write. Write for yourself first, the publishers, editors, agents, and readers come after. If you love what you are writing then it will be your best writing. Another piece of advice is to make an outline. Even if it isn’t an elaborate, detailed outline. When I began writing I was adamant that I didn’t need an outline. I think a lot of beginners are the same. However I found that my writing was more predictable, too simple without one. I now use an outline and it helps me to keep track of what is happening in the book and where it is going as well as any twists I want to throw in along the way. Plan out your characters before beginning the manuscript. This can avoid the danger of the ‘perfect’ hero. Your characters shouldn’t be perfect or they won’t be interesting. Plan out your characters personality traits and give them both good and bad traits. Perhaps they have an easily triggered fuse or perhaps they are hopelessly naïve. Skyla, a social outcast from an ordinary town in the 21st Century, is transported to a medieval land in the midst of war, where magic is a part of everyday life. Finding herself empowered with magical abilities she must fulfil a destiny decided by the gods, a destiny which will test her limits to the full. How can she cope with these new pressures and how can she possibly succeed? Sky Stone was originally going to be a novella, a shorter book of about 10,000 to 20,000 words. I thought I might send Sky Stone to a novella competition which had a word limit of 20,000, however, when I reached 22,000 words I decided to scrap that idea and turn it into a novel. In the beginning I never planned to publish, my writing was for me. However, by the time I was close to finishing Sky Stone, I asked myself, “Well, what am I going to do with this novel?” So, I decided to self-publish. Since I started Sky Stone at the age of fifteen, I found that my leading lady, Skyla, had many similarities to myself. She was originally an outsider, not part of the inner circle, not understanding what made others of my age act as they did. As I wrote Sky Stone, Skyla mimicked my emotions and for a long time she became a companion, one that understood me during my teenage angst. One hope of mine now is that any teenagers who read Sky Stone are able to feel this same connection to Skyla. Currently I am editing Guardian Core, the sequel to Sky Stone. I plan to publish Guardian Core next year (2015) hopefully around late July. I have also formed an outline for a new novel which will be unrelated to the Sky Stone series. I am looking forward to starting the manuscript for this new novel which will be set in the future, different from anything I have written to date.